Photograph, Portrait of Robert Cummins. Courtesy of the American Society of Civil Engineers. Image available on the Internet and included in accordance with Title 17 U.S.C. Section 107. CUMMINS, ROBERT JAMES (1881–1960). Robert James Cummins, engineer, son of James and Mary (Douglas) Cummins, was born in Mountmellick, Ireland, on March 1, 1881. He attended public schools in County Antrim and preparatory school in Dublin. He received a bachelor of engineering degree in 1899 and a bachelor of arts in 1900 from Queen's College of the Royal University of Ireland, Galway. He immigrated to the United States shortly afterward and worked for ten years as a civil engineer in Detroit, Michigan, both for the city and as a private consultant with Grasset Concrete Steel Company. In 1910 Cummins formed the consulting firm of Adams and Cummins and moved to Houston, where development of port facilities occupied much of his time for the next fifty years. For twenty-five years he was a member of the Houston Port Commission and for fifteen of those years served as vice chairman. He laid out the harbors and designed the original facilities for the ports of Brownsville and Corpus Christi. He designed other major port facilities in Freeport, Port Arthur, Beaumont, and Orange. At the time of his death, wharves he had designed were under construction at a cost of $200,000 to $500,000 along the Houston Ship Channel. In addition to his consulting practice, from 1918 to 1921 Cummins taught a senior class in engineering at Rice Institute (now Rice University). During the 1930s he served as engineering adviser to the Reconstruction Finance Corporation. He acted as adviser for the construction of the San Francisco-Oakland Bay Bridge and on several construction programs of the Metropolitan Water District of Southern California. He received the United States Navy Certificate of Achievement in 1945 for his part in the design of the navy hospital in Houston. 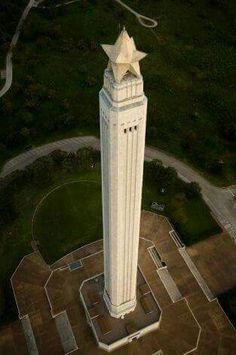 Photograph, Picture of the San Jacinto Monument, a project that Cummins helped to complete. Image available on the Internet and included in accordance with Title 17 U.S.C. Section 107. As a pioneer in welded, multistoried construction, Cummins was largely responsible for its popularity along the Gulf Coast. He was structural engineer on numerous major construction projects, notably the San Jacinto Monument (see SAN JACINTO MONUMENT AND MUSEUM) and the First City National Bank Building in Houston. He was a member of the American Society of Civil Engineers and president of the Texas section in 1940. Also, he was technical adviser to the International Boundary Commission (see INTERNATIONAL BOUNDARY AND WATER COMMISSION), chairman of the board of directors of the Travelers Aid Society, and director of the Houston Chamber of Commerce. On April 4, 1926, Cummins married Sascha Morrison in Houston. He was a member of the Rotary Club and Central Presbyterian Church. He died in Houston on June 11, 1960, survived by his widow, a son, and two daughters. Joseph L. Clark, Texas Gulf Coast: Its History and Development (4 vols., New York: Lewis Historical Publishing, 1955). Texas Legislature, Senate Journal, 1848. Vertical Files, Dolph Briscoe Center for American History, University of Texas at Austin. Handbook of Texas Online, Uel Stephens, "CUMMINS, ROBERT JAMES," accessed April 20, 2019, http://www.tshaonline.org/handbook/online/articles/fcu18. Uploaded on June 12, 2010. Modified on December 14, 2016. Published by the Texas State Historical Association.